DFLer Andrea Jenkins has clinched the Ward 8 Minneapolis City Council seat. 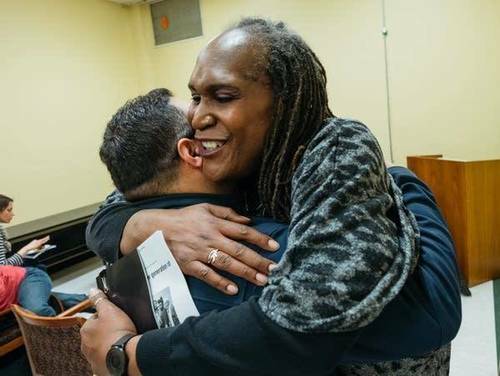 Jenkins is the first transgender person to win a council seat in a major city. She succeeds Elizabeth Glidden in representing several neighborhoods in south Minneapolis. Elsewhere in the U.S., Danica Roem won a seat in Virginia's statehouse on Tuesday, becoming the first transgender person in the nation to hold such an office. However, Jenkins said Tuesday night that she wasn't so focused on the historical nature of her campaign — she was focused on the issues and winning the election. Once in office, Jenkins said public safety, police accountability, the "affordable housing crisis" and economic development will be her focus. Click here to hear a 2015 MPR News segment featuring Jenkins.